I first came across Ralf Vandebergh’s outstanding astrophotography when I was inquiring about a “mystery” object that appeared to be stalking the International Space Station (ISS) in July. As it turned out, it wasn’t a UFO, it was in fact a Russian Progress re-supply space vehicle testing out a new automated docking procedure with the orbiting outpost. 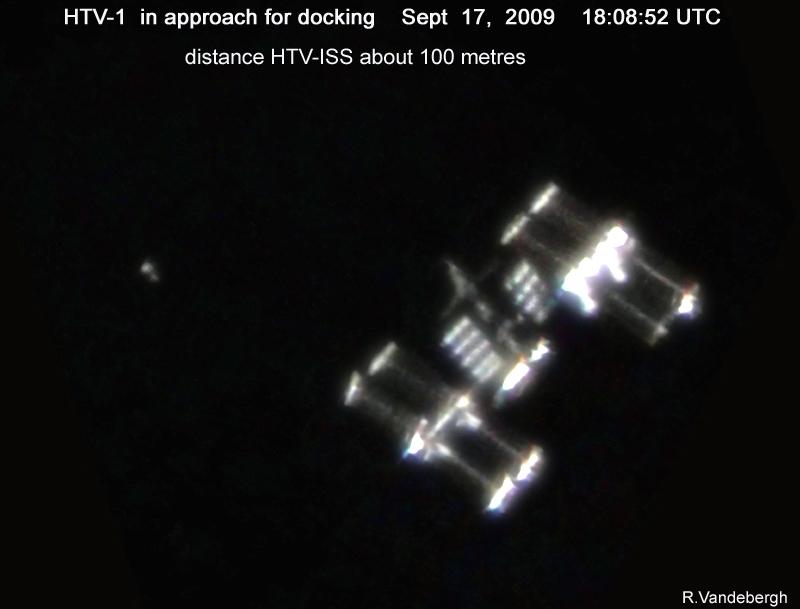 Vandebergh managed to image the ISS and Progress vehicle with amazing clarity from his home in Wittem, the Netherlands. Today, he’s done it again, only this time his target was the first flight of the robotic Japanese H-II Transfer Vehicle, HTV-1. On day 3 of the mission (Sept. 13th) to supply the ISS with over 4 tonnes of food, water, fuel and equipment, Vandebergh captured this incredibly detailed picture of the vehicle, speeding overhead at an altitude of just under 300km (pictured top). 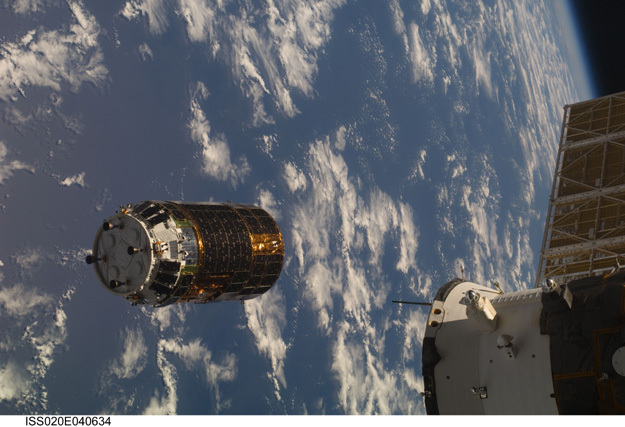 He also took a shot of the HTV-1 as it was approaching the ISS on Sept. 17th (right). I’m totally in awe of these shots, and there’s a lot more where this came from. In Vandebergh’s gallery there are pictures of spacewalking astronauts, shuttle cockpits and amazingly detailed portraits of the ISS… all taken with a camera, through a telescope, on terra firma. Enjoy.